Ebony is dressed in a beautiful Victorian Antique child’s dress. 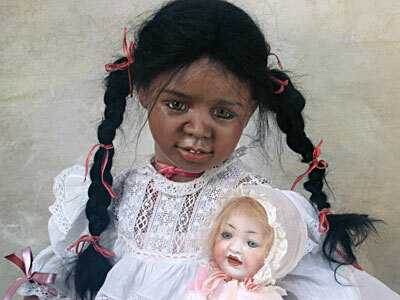 She tenderly holds her delicate white dolly (an Antique Hubach sleep eyed doll). French mohair wig.